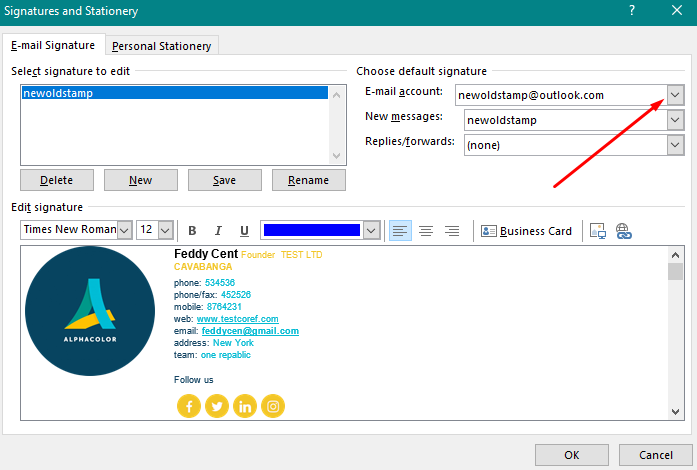 Create your email signature on NEWOLDSTAMP.com and follow these simple steps to install it in Outlook. Open Outlook application on your computer. Click a “New Email” button in the top-left hand corner. Create a New Signature and give it a name. 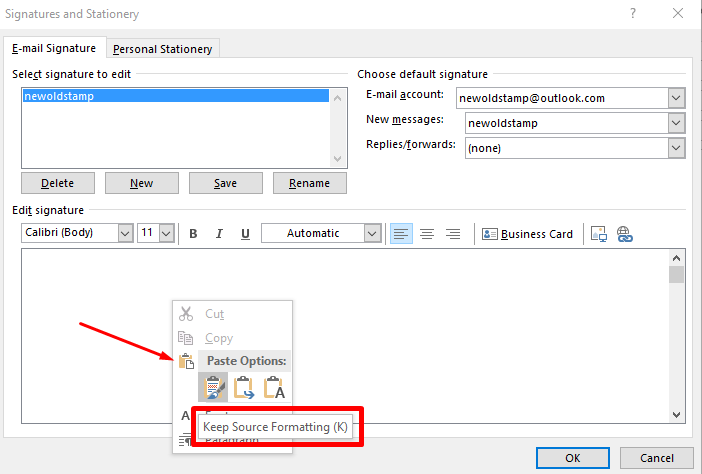 Right Click the Edit Signature box and choose “Keep Source Formatting” paste option. Choose which account you want to use the signature for and Save the changes. Congratulations! 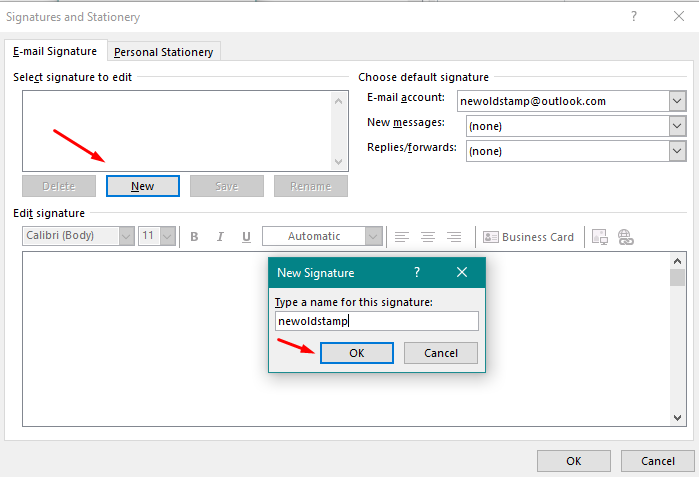 Now you will see your new signature in every email you send with Outlook.